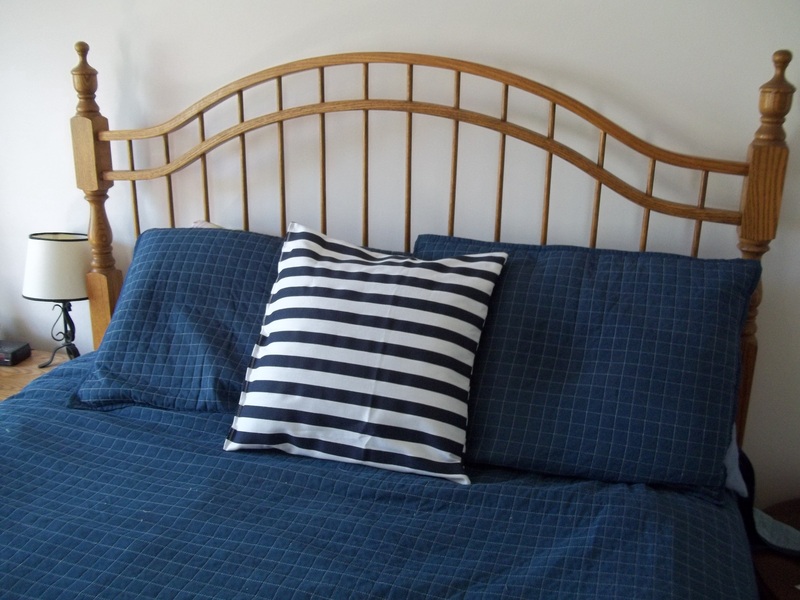 I have a navy and white bedroom which I adore. 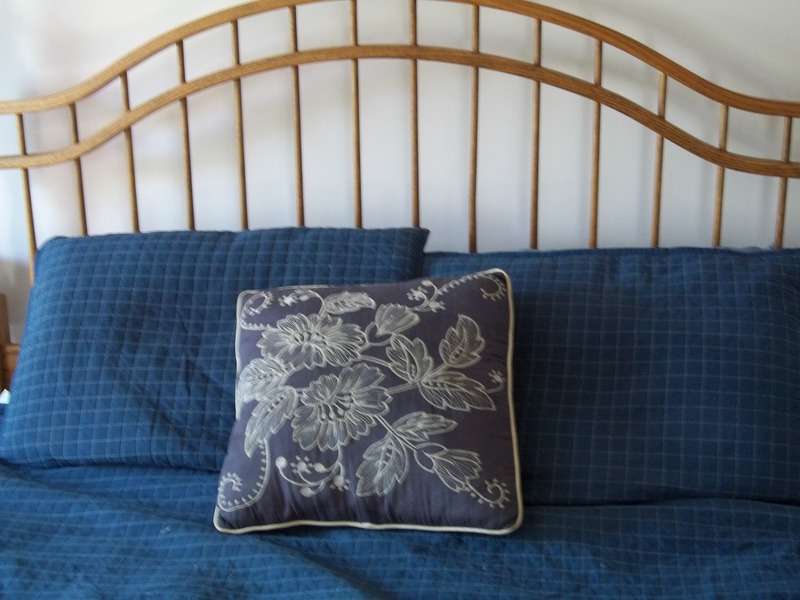 However, I had a throw pillow on our bed which was getting a little worn and tired looking. So, a couple months ago I dug out this awesome fabric I scooped up at Goodwill and gave it a crisp update. 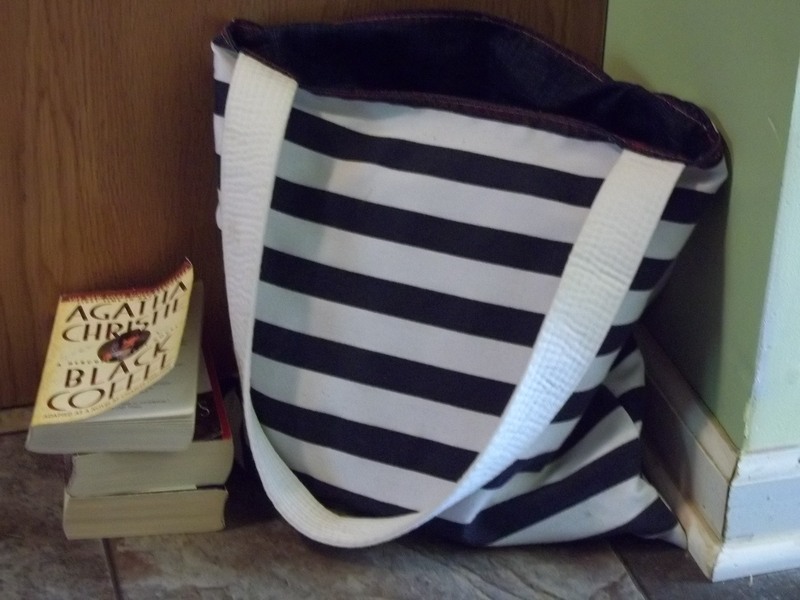 I had plenty of this striped fabric left over, so while I was in the mode I sewed up this pretty tote bag, lining it with denim. 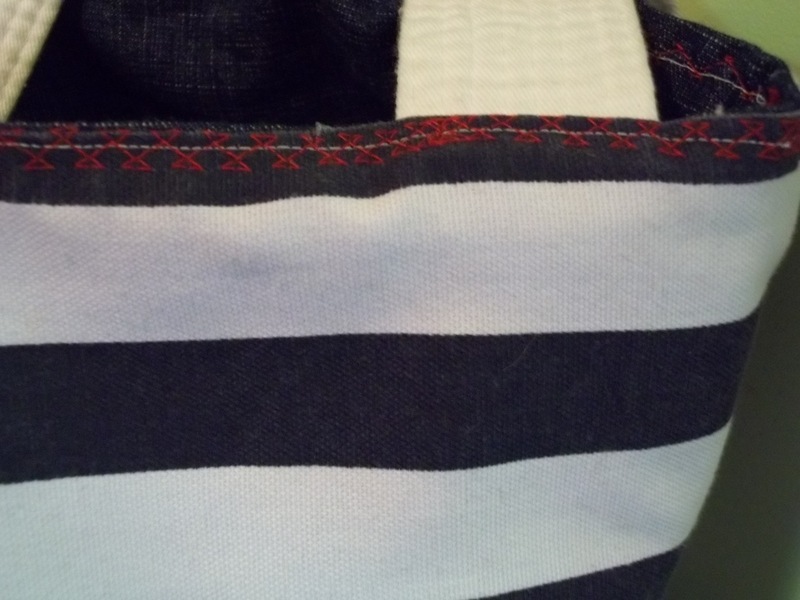 Since I like little pops of red with my navy and white, I added a little decorative stitching along the top as well. Unfortunately, I didn’t take pictures as I was making them or right afterwards, so no tutorials this time around. Also, these are what they look like a couple months after they’ve been made, so they’ve been well-loved already. The pillow has been used in making forts and by little boys as a weapon and the bag has been hauled to school a couple days by a 7 year old and by me for several occasions. I can’t believe you got that fabric at Goodwill…what an awesome find and fun things! So cute I love a good thrifted piece! They are holding their own. They look good. 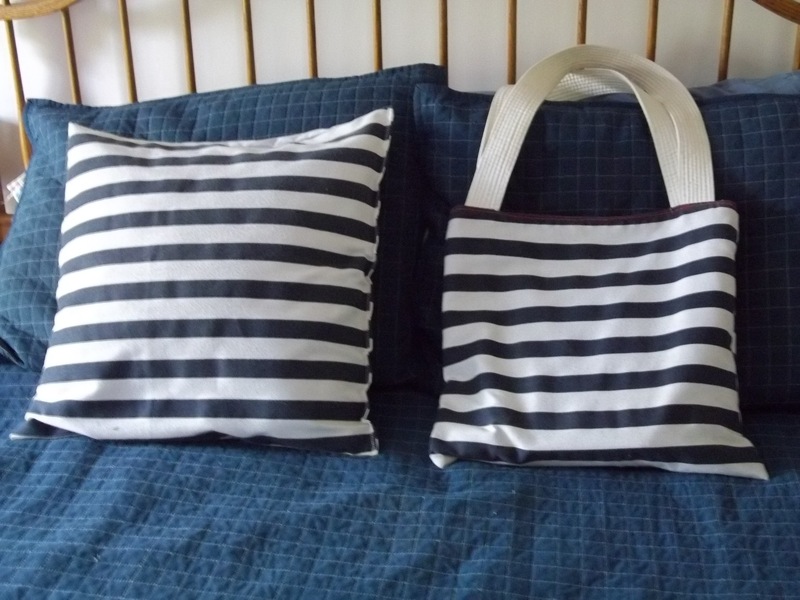 I love the bag, that is such a creative way to make a nautical bag. I can’t believe you got the fabric at Goodwill. Such a good find.